​Looking to Purchase and Rehab a Property? Many lenders require real estate investors bring some money to the closing table. However, it does not have to be "Your Money!" Get down payment funding, tap below. This program is designed to provide a business loan to a Builder who has a contract to sell the home once the property is completed. Land purchase may be included in the construction loan. Please call for a quote. ​ Loan $9mm, closing: 51 days. Call today @ 877-998-7539 or use the "apply online" link below. 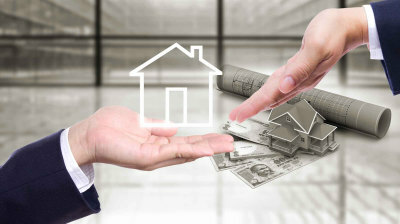 Why choose a fix and flip hard money loan? If you’re an investor or flipper interested in buying properties that require all cash or hard money to fix and flip, consider our fix and flip hard money program. Fix and flip private money loans provide up to 75% of the total project cost, which is the purchase price plus the cost of the rehab. These loans have no prepay, allowing you to sell the property as quickly as possible. There is no limit on the number of properties. We offer both interest-only and term fix and flip loans up to 7 years, allowing you to choose a payment schedule that best fits your needs! If you’re looking to take advantage of the great rental market throughout the greater part of USA, we can help! We are direct to the check writer and they are as good as cash. Often times, these undesirable properties do not meet FHA guidelines. This means, federal agencies like Freddy Mac and Fannie Mae will not back these loans. These agencies provide money to traditional lending agencies that would typically provide cash to home-buyers. Because federal agencies are not backing the loan, options for borrowers looking to purchase foreclosed properties are limited. We can often provide you with same-day prequalification on our fix and flip loan so you have the cash fast to take advantage of opportunities when they arise. Please complete our Fix and Flip Loan Interest Short Form to get started. Please review a sampling of Fix and Flip Deals Funded to see our past performance. Same parameters in these states for ground up construction loans! Submit your rehab loans below and we will get right back to you. 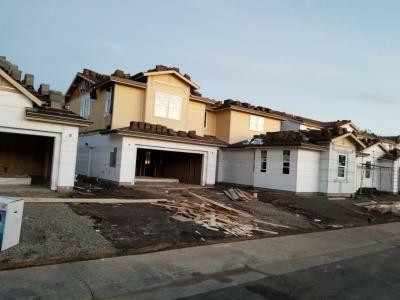 We lend up to 90% of lot purchase and 90% of the construction costs. Investors in the business of buying and selling homes fast have faced stiff competition in finding viable properties, but these home flippers have had fewer challenges in one traditionally tough area of the business: lining up financing. Lenders have been competing fiercely to fund their deals. [homeflipping] A deeper bench of private lenders is now operating in the fix-and-flip space, including several large national lenders. The end result is that the cost of the short-term loans used by home flippers has been dropping, and the percentage share of financed home flips has increased. Our private Investor was spun off in 2014 from the property investment company, which flips roughly 5,000 homes annually. McCarthy said the heavy competition has worked to the advantage of the flippers. The rates and points have dropped. Home flip loans traditionally are interest-only loans that pay off in full within a year. Experienced flippers are now offered rates in the range of 8 to 8.5 percent, whereas the standard a couple of years ago typically started at 10 percent or higher. The booming housing market has created a strong home-flipping market over the past three years. Last year, more than 200,000 homes were flipped, an 11-year high, according to preliminary data from Attom Data Solutions. Significantly, the percentage share of financed home flips also increased. Last year, the share of financed flips was estimated at nearly 35 percent, a nine-year high. Home values have hit new peaks in several markets, which is good news for flippers who make a profit by buying low and selling high. A shortage of low- and median-priced homes also has meant that listings are selling in under a month in some cities. Market conditions for fix-and-flippers are not perfect, however, according to analysts. On the downside, there are significant housing shortages that have made viable home flips less readily available. Fierce competition and dropping rates have driven some hard money lenders out of the fix-an-flip market. The online commercial platform RealtyMogul.com exited more than a year ago, after once committing $1 billion in capital. In an online posting to its investors, the Los Angeles-based company said the average return on a fix-and-flip loan had dropped from 11 percent to 7 percent, including servicing expenses. The company said it planned to deploy its capital into short-term bridge loans for maturing loans in commercial mortgage-backed securities. Other national lenders say they are in the market to stay. Brookview Financial, which has been doing fix-and-flip loans for 25 years, was among the few national lenders that continued to originate short-term loans after the financial crisis. “This is not an easy product to finance,” Brookview Chief Executive Officer A.J. Funaro said. “The duration is short, not subject to securitization. Typically you have a lot of handholding … with regard to the improvement. There is a lot of administration that goes along with it, and the market is only so big, depending on who you talk to, and your analyses. Funaro said not all the players in this crowded field are competing for the same customer. 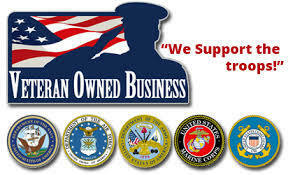 Some of the Wall Street companies will only lend to the safest borrower with experience and a strong credit profile. He said Brookview has stayed true to its roots of closely evaluating the asset value and serving investors who may not necessarily have vast experience in flipping homes. A relatively recent entrant, Atlanta-based GroundFloor, has placed a bet that home flipping will remain a viable business through the next market downturn. CEO Brian Dally said that “flipping” is often used negatively, but he views the typical flipper as an entrepreneur who recognizes the value of a home, and then increases it. GroundFloor launched in 2013 and has developed an online platform for borrowers and the investors who bankroll the loans. Dally said its national reach has enabled the company to cast a wide net for investors and enabled it to lower its rates. Dally said that the national lenders have filled a void left by community banks, which once funded a large percentage of fix-and-flip projects, but left the space after the financial crisis. He expects the share of financed flips to continue to increase. Fix and flip is really a slang term to describe a type of real estate investment deal. The fix part is where a real estate investor purchases an undesireable single family home below market value and does some repairs to the property in order to make it more appealing. The idea is to significantly increase the market value of the property with the minimal expense possible so that the home can be resold for profit. 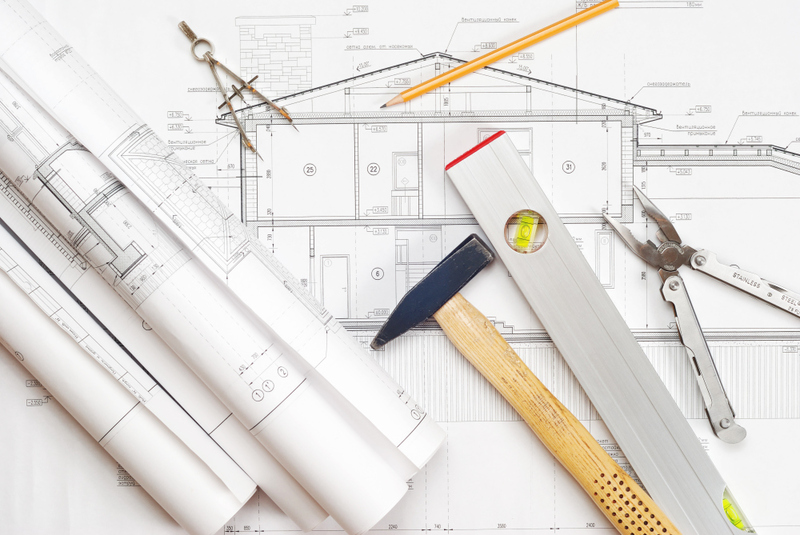 Typical repairs done are: adding bedrooms as needed, putting in a new kitchen, finishing a basement, replacing a roof or doing anything required to make a home have more curb appeal to buyers and of course, more valuable than when they started. It is part science and part art to know what repairs to do and how much to spend doing them. The flip part refers to getting the property listed for sale in a short period of time and then locating a new person that will buy the home to live in it or rent it. This new buyer gets a loan and pays for the property. When the closing happens with the new buyer then the real estate investor, assuming they did the deal right, makes a profit. 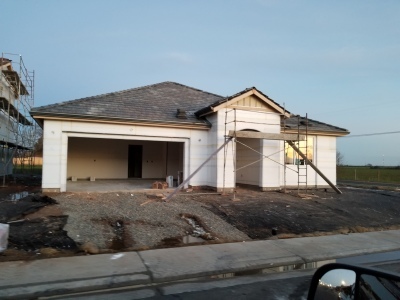 Fix and flip investing has been around for quite some time, but it has become much more popular with the advent of TV shows such as Flip This House and Flip That House among others on cable stations. If you are interested in becoming an investor who needs fix and flip loans, then you have come to the right place! Read on to discover how you can get the money you need to flip properties regardless of your credit, job history or income. Need a Fix and Flip Loan ? 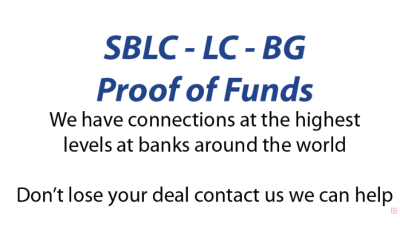 Money for Your Deal? Most properties that an investor buys with the intetion of flipping for profit do not meet FHA guidelines. In order to qualify for “traditional” financing to buy a property, a home must meet these guidelines. Otherwise a lender can’t write a loan through Fannie Mae or Freddy Mac. Which means that you can’t walk down to your local bank or call up Wells Fargo to have them fund your deals. 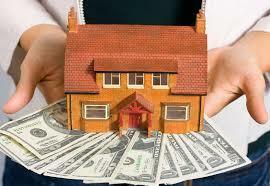 The majority of fix and flip loans are financed by private money or hard money lenders. The 100% Hard Money Financing System gives you the both the essentials as well as a deep-dive into the world of real estate investment. The 100% Financing System provides an in-depth, comprehensive and actionable approach that includes an interactive task list with tons of valuable easy-to-access tools and resources. The modules also allow you to track your progress so you’re never left guessing. It’s a simple, interactive and immersive experience that turns you into a true real estate investment professional and ultimately allows you to reach your financial goals. If your deal is good enough we’ll fund your purchase, rehab, points, interest, & closing costs. When you complete your rehab ahead of schedule we refund you money and you make more profit. We want you to keep the focus on completing rehab work, not worrying about making monthly payments. You can still get a loan even with zero experience and a poor credit score. 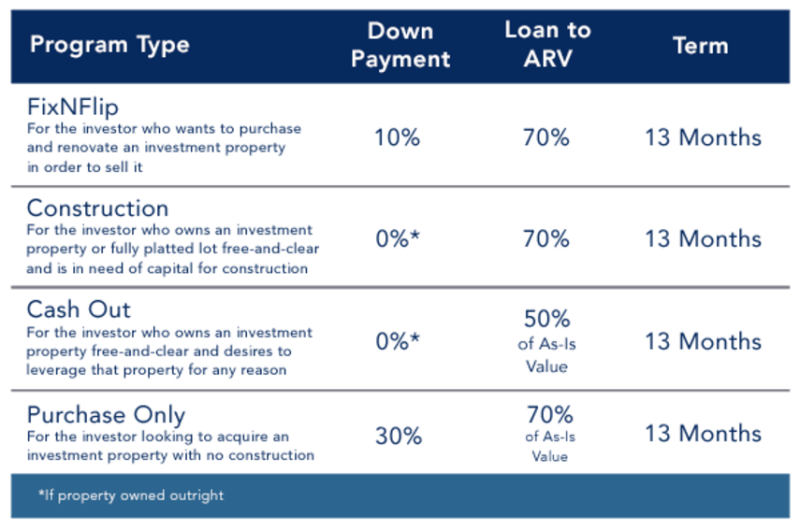 No down payment when all your costs fit within 70% of the ARV. Are you shopping this loan& any issues? Buying properties at under-market prices, then undertaking required repairs/upgrades and finally profitably flipping them sounds like a pretty good plan, right? Unfortunately, especially for new players in the Real Estate Investment (REI) world, problems can add up fast if you are not very careful. Profits on paper can turn into real world losses, in a heartbeat, without proper preparation. The single biggest mistake that newbie fixer/flippers make is not comprehending or underestimating the cost of rehab work. Also, if you overpay for the property to start with, you can find yourself in the hole even quicker. Whether it be an undetected damaged roof, a missed cracked foundation or not checking the (broken) air conditioning system (because you bought the house in the winter time), a whole variety of potentially expensive issues can arise after a property is put under contract or purchased. However, by then it may be too late. Here are some of the top pitfalls to avoid on the road to fix/flip real estate riches. 1. Be prepared for surprises. a. While it is true that some properties you flip will really only need cosmetic fixes (paint, minor clean up, etc.) most properties that are out there for a really low price need much more done than just “surface” work. For example, reselling the property to a normal retail buyer means it has to pass a formal housing inspection to confirm the entire property is up to current building code requirements. b. That means you maybe cannot get by with minimum fixup. What may be required are real repairs that include major issues such as mold or mildew problems, pest infestations, outdated plumbing or electrical that might need upgrading. Any of these things can send your “real” purchase price soaring. Going over budget on the initial purchase price (including all repair and upgrade costs) can leave you with no profit when you go to sell the property. 2. It is instructive if not imperative to start with what the (highest) ceiling price is for the area in which property is located, before bidding on any of them. Next take a very close look at THAT price vs. the price of the property you are considering as a purchase + the anticipated improvement/fixup costs + your anticipated profit; adding up those three factors allows you to ascertain the maximum purchase price you can justify paying. 3. Work “backwards” from that point to determine expenses, carrying costs and most important, net profit. a. You should have firmly in your mind what minimum net profit you are looking for, which is a function of the how much you can sell the property for, and still hit your target profit number. b. Always build in some extra funds for unexpected costs. c. But, if the numbers don't work, then walk away from the deal. 4. Do NOT Skip the inspection. 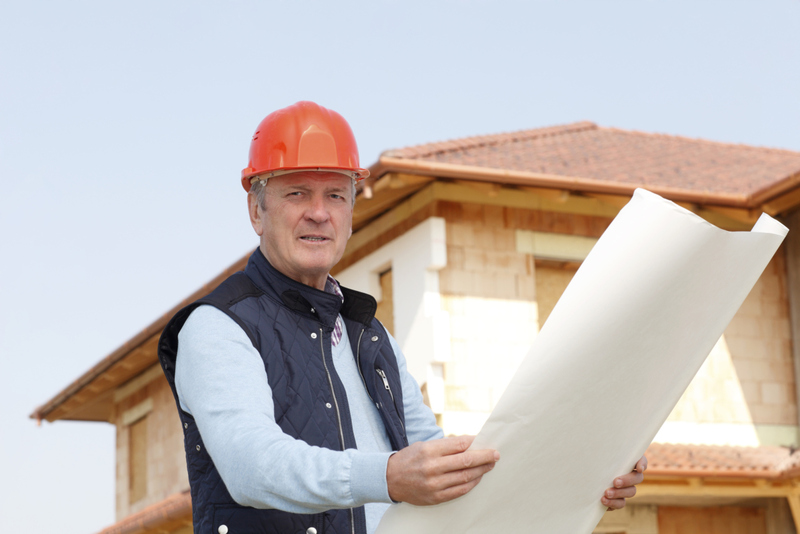 Assuming you have time, bring in a competent inspector, contractor, experienced handyman etc. and at least do a drive-by of the property and view as much as you can inside and out. When possible, get into the property itself in advance of the offer and take a very good look around. 5. Don’t limit your research to just the property you are acquiring. Be sure to research the neighborhood as well. For example, if your “sure fire” investment property is in a neighborhood in decline, the overall value of the post-rehab property may fall way short of your pre-rehab profit expectations. 6. Don’t pre-pay contractors or others in full in advance. Pay them, in installments, when certain pre-determined milestones are met. For any large project, you should create and maintain a detailed “draw schedule”. The contractor collects the draws or “progress payments” when certain phases or parts of the project are finished. 7. Failure to rent the property out, if the sale takes a long time. During the months it takes for escrow to close, the rehab to get finished, and the resale to get underway in earnest, market conditions can shift. Better to make a small profit for a few months, while trying to sell the property vs. letting it just sit there empty, while you have to make payments to the lender month after month after month. 8. Avoid 100% DIY (Do It Yourself) projects. To many REIers give themselves credit for skills they may lack. For example, unless you are a licensed realtor, you may not want to try the sell the property yourself. The paperwork alone can drown you in detail. Same goes for trying to do all the repair work yourself. Your time might be better spent on your “core” knowledge areas (flipping houses) vs. painting the entire inside of the house when you can retain lower cost, but high quality talent to accomplish such tasks for you. 9. Ignore the “70 Percent Rule” at your own risk. It is a basic, tried and true formula in the REI biz that you should take your ARV (After Repair Value), multiply it by 0.7 and subtract your repair cost estimate. That is the maximum amount you should be paying for a property—no exceptions. This is considered a sacred rule because it will keep you safe from overspending on rehab and winding up with a property you can’t sell for a profit. 10. Avoid taking on too big a project on your first deal. A modest clean up or cosmetic fix up is one thing. But then there are projects that may include flooring, insulation, landscaping, stucco, doors, windows, kitchen cabinets, countertops, etc. Not only do such rehabs eat up a lot of money, they take a lot of time to accomplish, and when you are using hard money financing, time is literally money. 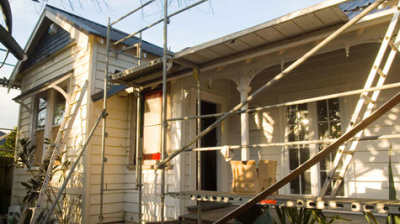 Buying properties that need too much work is a quick way to turn a profit into a loss on the wrong property.